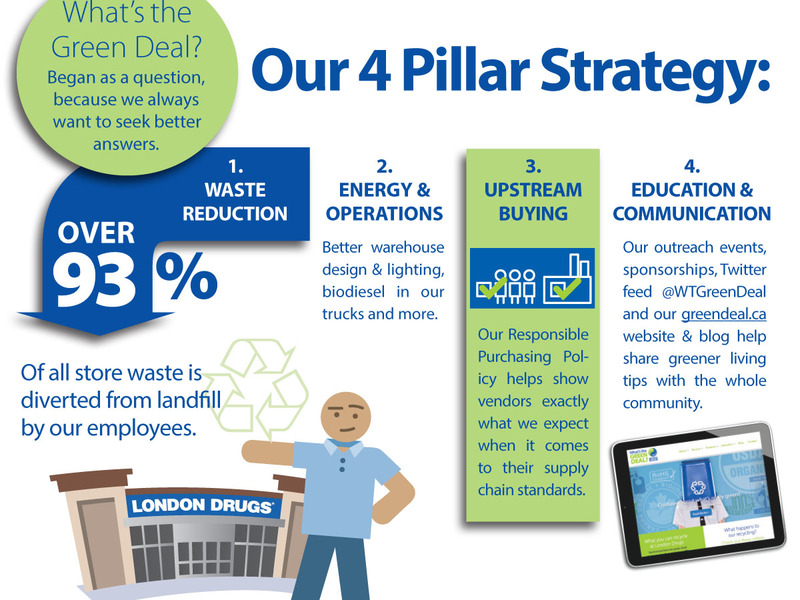 Sustainability strategy for a major retailer is a complex undertaking. 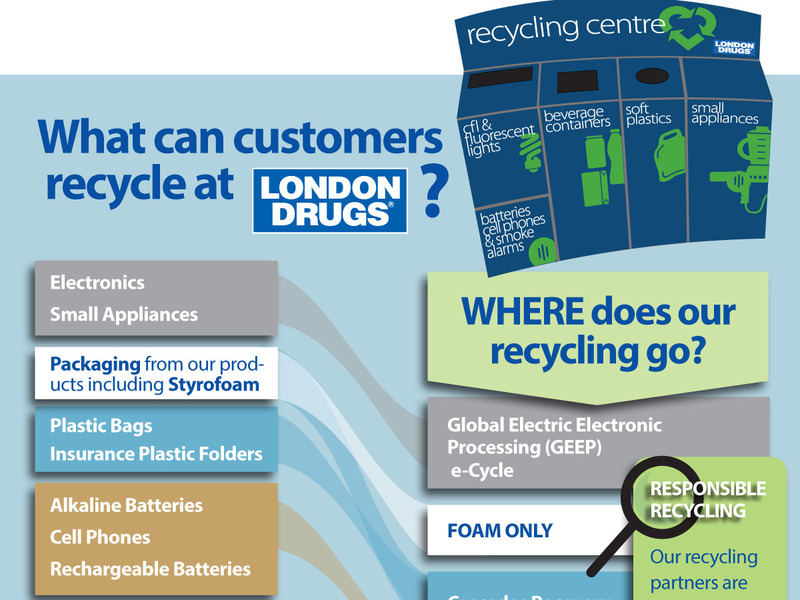 But what the heck, we decided to try and encapsulate it all in a single info graphic anyway. 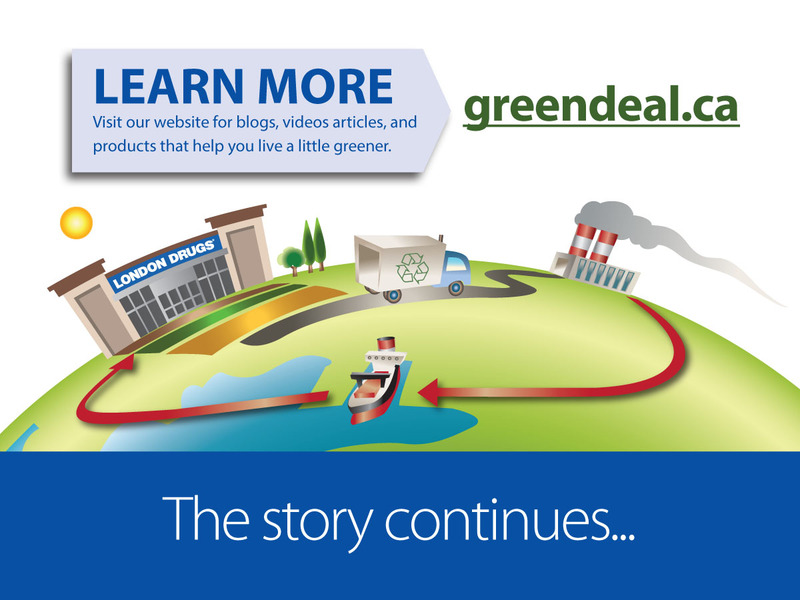 For Earth Month 2016, London Drugs wanted to let customers know all about their What’s the Green Deal program. 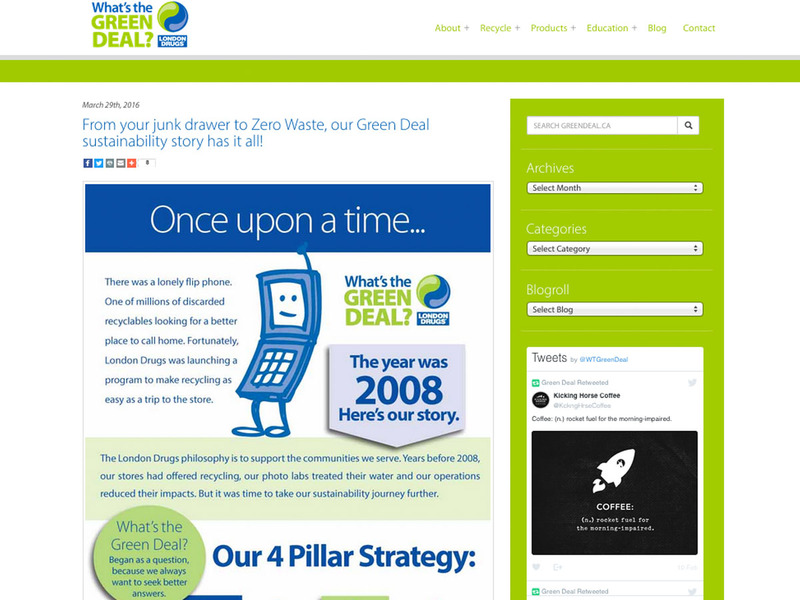 So we created a long-format graphic, posted on the Green Deal blog, that showed everything from its beginnings in 2008 through the 4 pillar strategy to how customers can become involved with in-store recycling and greener products. 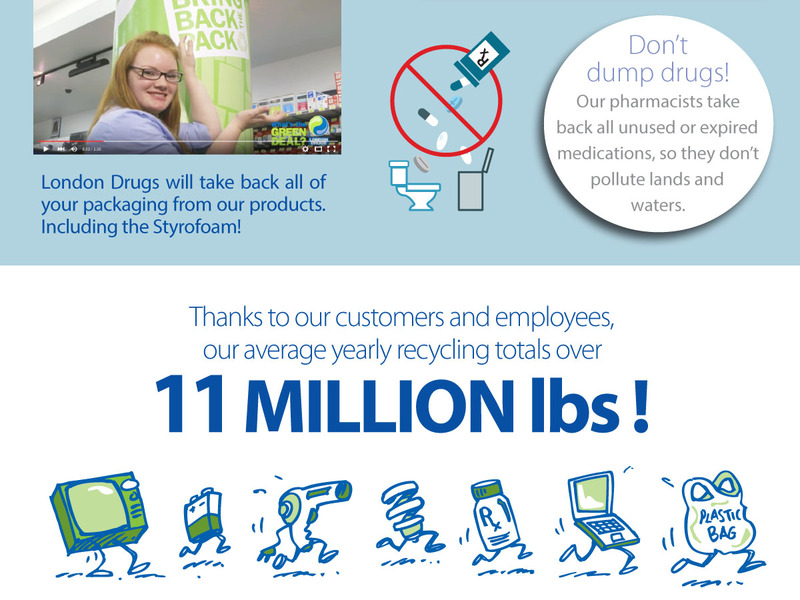 Check out the whole story on the London Drugs blog here.